What’s the Cheapest Method to Send Money to Egypt? 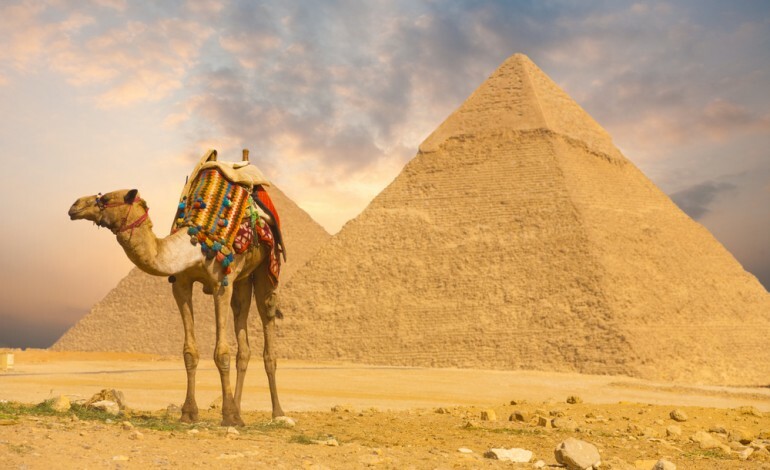 Egypt is a popular tourist destination and numerous people are interested in sending international monetary transfers to the country. If you have a business in Egypt, you already know the best prices, the quickest services and the most reliable methods for sending money to Egypt. In both instances, you have to carefully choose money transfer services because some of them come with high charges and hidden fees. What transfer methods do we use at Time Doctor? Payoneer – very convenient for sending and receiving. They are also one of the few methods that works to receive money in almost every country and the receiver can get their money on a debit card and withdraw from an ATM. They also have an option for direct transfer to the receiver’s bank account. They also have a $50 bonus if you receive more than $100 through this method. Transferwise – very low cost and also a convenient method for transfers to most countries. If you’re not sure what I mean by “hidden currency exchange fees” check out our explanation in this article. The fees for wire transfers are estimates and vary from bank to bank. Minimum transfer of $500 for OFX (previously USForex). Table 2: Sending Money to Egypt from Different Countries. The TOTAL Cost in Percentages including the HIDDEN currency exchange fees. The methods in the tables above are for the recipient to receive the money in EGP/USD/EUR. If its other than EGP, then you may need to convert the money from USD/EUR to local currency EGP, which will cost more money perhaps around 1% depending on how they convert from USD/EUR to Egyptian Pounds(EGP). Western Union is providing the EGP currency option only for the United States. The rest of the countries will receive the currency in USD. The Exchange4free is providing a EUR currency option but only for Germany. OFX (previously OzForex) is a good option for sending larger amounts of money and their exchange rate fee goes down for larger amounts. Minimum transfer of $500/£500 for OFX. The official exchange rate has been unchanged for almost six months at 7.1401 per dollar, while on the black market it fell to 7.71 per dollar on Dec 9, 2014, according to the average of four dealers surveyed by Bloomberg. However the bank allowed the Egyptian Pound (EGP) to reach 7.24 EGP per Dollar. In the black market it reached 7.87 EGP per dollar on Jan 19, 2015. Black market rates are 8% higher. What’s the Cheapest Way to Send Money to India? What is the Cheapest Way to Send Money to Indonesia? What's the Cheapest Way to Send Money to the Philippines? What are the Best Options to Send Money to Pakistan? What's the best way for a person in Egypt to transfer money to USD and get it the US? must send it USD not EGP transfer from egypt to usa 1- open usd bank account at bank misr with $100 account opening balance 2- make wire transfer to usa through swift code & account number. From the UK - we used Moneygram and Western Union - both transfer instantly ( not as per the chart above ).The person in Egypt has to accept dollars ( so we transfer from STG to USD ). Then the person in Egypt has to take this US$ to the exchange to get local EGP. Not nice...too much exchanging & cost to be honest.Also once you start to send a large amount of money - the fees from these 2 instant payments start to get very heavy...many times that of a bank transfer. We have actually stopped using both Western Union and Moneygram unless in an emergency or we do not have bank details.What we use now - for 20-25 transfers per month is Western Unions Global Pay system. Its not well advertised - and we never knew about it until we checked if Western Union offered any discounts for business use. It turns out they have Global Pay. You need to supply some basic information - on who you are and who you will pay. After that - it operates as a bank account. It can take a direct debit from your bank and do the exchange into any global currency ( unlike the instant option - which only has USD ) - so we buy Egyptian pounds at the best rate available with the. Then send the transfer. The transfers have a fixed cost for us - £10 each. We know exactly what we are sending as we can send in Egyptian pounds. We can buy the same day and transfer...it does take 5 working days for it to arrive locally in the receivers bank - but they get the right amount and it saves a lot of costs. This is our preferred way of sending to Egypt at the moment. Hope this helps others - would definitely recommend their Global Pay system as an alternative. I highly recommend Skrill (MoneyBookers)... and in all cases the bank will call you every couple of times to make sure that the transfer is yours and not a money laundry :)! How does Skrill work for you in Egypt? Is there a local withdrawal method? I think in generally Skrill charges 1% plus 5% for currency conversion, so it's not the cheapest method.